When you have a bad headache, everything in your life slows down to a halt. And if you’re at work when you get one? Forget about doing anything worthwhile, because your head will be pounding so bad that won’t even be able to look at your computer screen. The reason you got your headache can be a number of reasons, from dealing with stress or just are having a rotten day, but it can be beaten if you know how to relieve. Even if your headache isn’t exactly a migraine, the medicine that companies make to relieve them are simply just super strong headache relievers. You can take these whenever you have a bad headache, and you won’t get sick or anything. Most good migraine relief aids like Excederin contain a few powerful headache fighting pain relievers, such as acetaminophen and aspirin, but they almost always contain a small dose of caffeine. You’ll usually see caffeine in the 65mg range. This is about the same as a cup of tea. 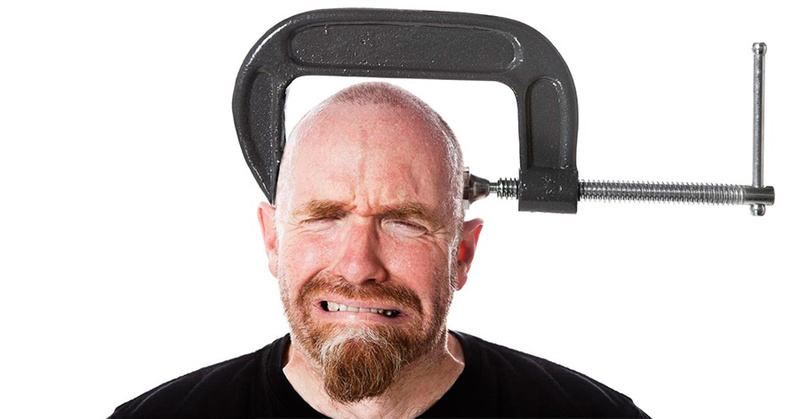 Caffeine helps regulate your blood flow and keep things moving, which is why you get a headache in the first place. And the pain relievers are obvious: to numb the pain. These almost always work in as little as 20 minutes. Always keep these handy! This may sound silly, but a lot of the time you have a headache, it’s because you didn’t drink enough water that day and your body is dehydrated. If you drink about 40-50 ounces to replenish your body’s water supply, you immediately feel much better. Plus, you’ll get a huge energy boost from it. People don’t realize this, but when they feel hungry and tired, it’s usually because you don’t have enough water in your system. The more you know! Another common reason you have a headache is because you didn’t get enough sleep the night before, and your body is dealing with the repercussions. If you simply take a nap, your brain will be able to get a little more rest in, and your headache will usually feel fine after you get up in 45 minutes or however long your nap was. These are excellent methods for dealing with a horrible headache. The best part about all of these is that you can combine them to form one powerful headache remedy! My personal favorite is taking a migraine pill and then going right to sleep.